This year’s TIBE Publishers Training Programme will help you to navigate through the most recent technology trends for the publishing industry. Starting off on day one with a close look at the benefits and use of Artificial Intelligence for the publishing industry, and then we will move on with a strong focus on Audio and Voice content. The second day will be talking about Hybrid and Platform Publishing, to dive into the various formats on offer today. 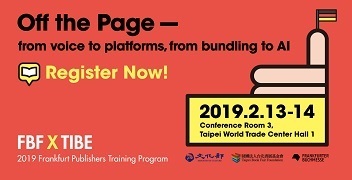 Listen to our prolific speakers from the US, China, Denmark, Sweden Taiwan and Germany, and make the most of your participation at the Taipei International Book Exhibition 2019. Please bring your business card. 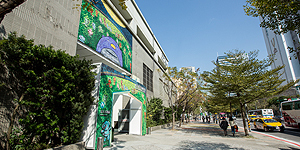 Entry at 09:00. Identification card required for borrowing interpretation device. *The Organizers reserve the right to modify the program. Thanks to quantum physics and self-learning systems, machines can beat us not only at tasks most of us were never good at, such as chess, but also at the very things we claim as “human-only” territory: Smart computers have already composed music, created films and written books. Creative machines are on the rise – and they are becoming more and more human. What’s next? Will machines take over and become the next geniuses? How might artificial intelligence and deep learning affect our understanding of creativity and the role of the artist? What is technology doing to creativity – and what is creativity making with technology? With the rise of Audio more and more Publishers rediscover their back lists, and create new content around their original content, often through cooperation’s with existing platforms. But voice content must be created as thoughtful as the story that is told. The Audiobook industry still depends on strong and powerful voices people want to listen to. What are the biggest challenges here and how can we make sure that the investment we put into an Audiobook really creates something meaningful. Learn from one of the biggest audiobook productions companies what are the do’s and don’ts and how to really tell a story that will engage your audience. How to decide what to publish where? What kind of format could work for an international audience, and what will happen if we decide to put Audio first? This panel discussion will take up all open questions raised in the morning of the first day of the programme. During this workshop, our participants will have the unique possibility to join a workshop on Audiobook Publishing, conducted by our speakers from day 1. We will divide the audience in small groups of up to ten people, and let you work on your own Audio strategy. Technology is shaping every aspect of our daily life, structures our day, helps us to get from A to B and offers us new user experiences daily. The publishing industry needs to adapt to these changes, needs to recreate the experience of reading and find new business models to survive. From Hybrid Publishing to Cross media Publishing, there is already a lot out there to discover. Webnovel is a new model that allows independent authors and publishers to achieve success. During this interactive case study, you will learn more about the successful adaptation from Webnovel IPs into films, drama and animation. During this workshop, our participants will have the unique possibility to join a workshop on Hybrid Publishing, conducted by our speakers from day 2. We will divide the audience in small groups of up to ten people, and let you work on your own Hybrid strategy. 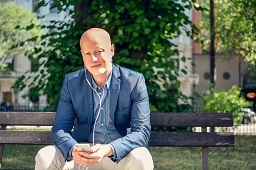 In 2015 Niclas Sandin was commissioned by Bonnier Books to found BookBeat, an audiobook streaming service, with the goal to play a leading role in forming the digital book market in Europe for the decade to come. Niclas has as CEO built BookBeat as a data driven tech start up that in 2016 launched in Sweden and Finland. In 2017 it initiated launches in Germany and UK. In the summer of 2018 BookBeat has grown to over 100 000 monthly paying users, an annual turnover of over 10 MEUR, and over 50 employees. Before joining Bonnier in 2012, Niclas was a data analyst and consultant focused on growth companies at EY. Before BookBeat, Niclas held management and business development positions in Bonnier Books B2C operations. Martin Johs. 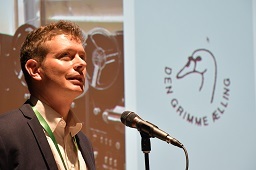 Møller works as Editor-In-Chief for the Danish audiobook production company and publishing firm Swann Studio, based in Odense, the birth town of Hans Christian Andersen. The company has produced audiobooks since 1983, when it was founded by Martin Johs. Møller's father, Troels Møller and his business partner Michael Lundsgaard whose three sons have recently taken over the ownership of the company. Swann Studio has more than 80 recording studios spread out across the Nordic countries, and is planning to expand with another 130 or more in 7 new markets within the next year, to increase the annual production capacity to up to 7000 titles. Having grown up around audiobooks and having narrated more than 200 himself, Mag.art (Magister Artium) in Comparative Literature Martin Johs. Møller has an in depth knowledge of many aspects of the industry. Porter Anderson (@Porter_Anderson) BA, MA, MFA, is a journalist, speaker, and consultant specializing in book publishing. 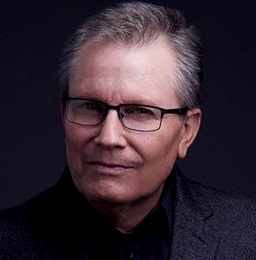 Formerly with CNN, CNN.com and CNN International–as well as the Village Voice, the Dallas Times Herald, and the Bookseller–he is Editor-in-Chief of Publishing Perspectives, founded and operated by Frankfurt Book Fair New York. Publishing Perspectives is the news medium for the international trade publishing industry. With Jane Friedman, Anderson also produces The Hot Sheet, a private subscription newsletter of expert industry analysis written expressly for trade and independent authors. 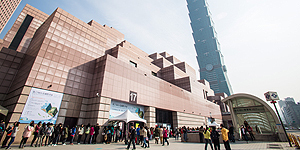 Within the past year, Anderson has spoken and/or covered and/or programmed events in international publishing at venues including Frankfurter Buchmesse and its Business Club, The International Publishers Association’s 32nd World Congress in New Delhi, Readmagine in Madrid, StoryDrive Asia in Singapore, the London Book Fair, Publishers Forum in Berlin, BookExpo in New York City, the Women’s Fiction Festival in Matera, PubTechConnect in New York City, The Muse and the Marketplace in Boston, FutureBook in London, the Writer’s Digest Annual Conference in New York City, Digital Book World in New York, Sharjah International Book Fair and the Abu Dhabi International Book Fair in the UAE, and the Association of Writers and Writing Programs (AWP) in Tampa and Washington. Chien-fu Li is the founder and Chairman of Shen-Lang Culture Company in Taiwan and ChinaTunes Investments Inc. based in Shanghai, which has become the largest copyrighted Audio content repository and production house in Taiwan, and launched audio services on App (search for ibo.fm) and other smart devices. Chien-fu holds an MBA degree from the University of Pittsburgh. Before and in between his Internet and Management Consulting careers, Chien-fu has been a folk singer and well connected in the media and entertainment industry. He has published 7 vocal albums, 2 books and 7 audio books in the past 39 years and participated in countless concerts. Holger studied information science at Freie Universität Berlin. 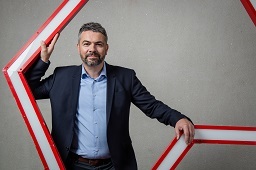 He led the launch of the New Economy Business School as its founding director and also enjoyed a tenure as lecturer at Hochschule Wismar and Media campus Frankfurt. When he’s not in the office, he enjoys traveling, hiking, and brushing up on his photography skills. He enjoys meeting others who share his passion and enthusiasm for new ideas. So please don’t hesitate to say hello when you see him on the conference floor. Helena has twenty years experience from the book industry, whereas twelve years devoted to audio book publishing. Helena now heads Storytel’s international audio publishing division which also includes audio production and development of original content. Her team publish more than 5000 audio books per year in currently eleven different languages. Helena’s functions at Storytel also include co-heading the Storytel Global Expansion team. YangRui is the person in charge for Webnovel of China Literature Limited. He is responsible for novel products and the cooperation of the content. Webnovel belongs to the China Literature group, a famous online literature platform in Mandarin area. The company set up a new format of online reading billing and has accumulated millions of original online literary works.